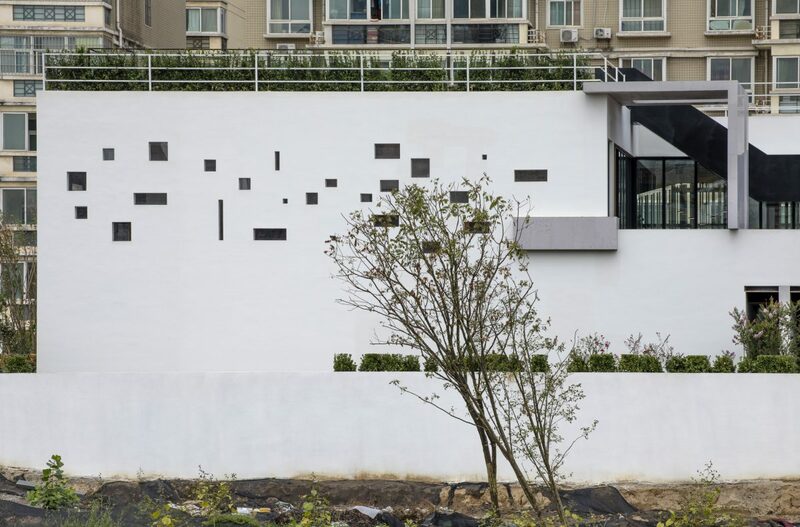 For the Anaya development in Qinhuangdao Dayun designed this pavilion encapsulating two show homes. 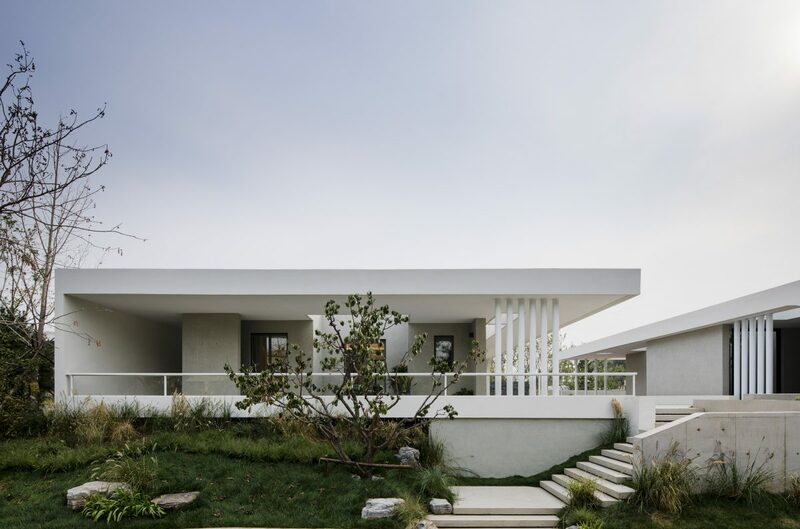 On a platform slightly raised above the street level the pavilion joins the two show homes surrounding each with a cloistered walkway and separating the two with a gravelled courtyard and shallow pool of water. Space is divided with arches, columns and walls, varying the degree of openness to the surrounding landscaped garden, while roof apertures add an additional dimension and variety to the play of light on the structure throughout the day.